While absolutely delicious, milkshakes tend to be very high in fat and sugar. They can also be tough to digest for those who are sensitive or allergic to dairy. 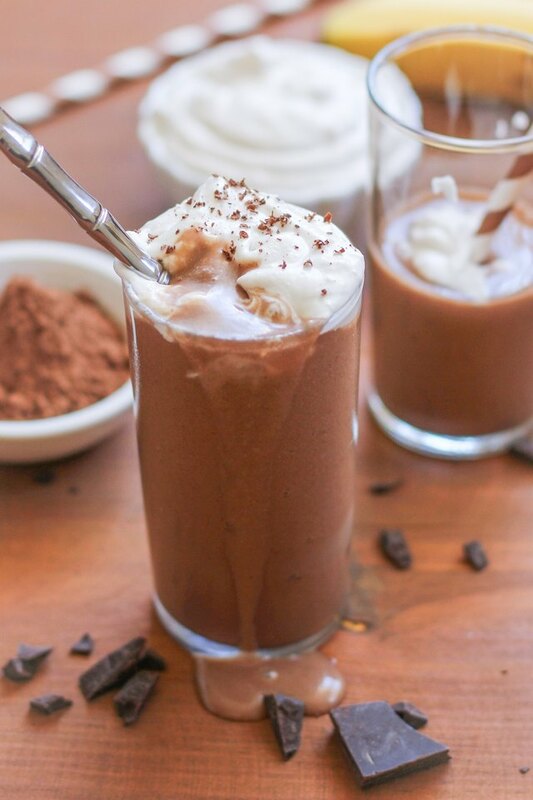 This healthy chocolate shake recipe uses all natural ingredients for a dairy-free, naturally sweetened healthy dessert. The best part about this recipe, other than the fact that it is both healthful and delicious, is that it only requires a few ingredients. If desired, you can make this healthy dessert even more decadent by preparing homemade coconut whipped cream (see recipe below). Get creative with your milkshake flavors by adding peanut butter, fresh fruit or other favorite flavors. Add all of the ingredients for the chocolate shake to a high-powered blender and blend until thick and creamy. If necessary, add a small amount of additional almond milk or coconut milk to help the shake blend. 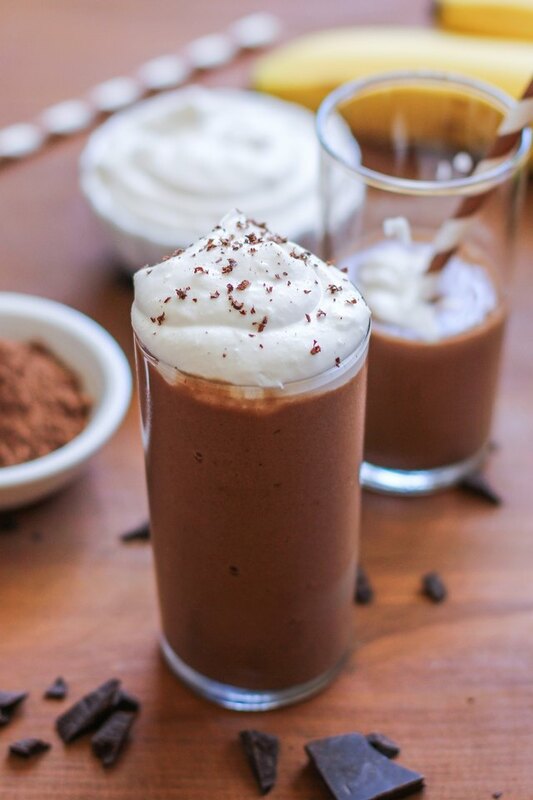 Pour the shake into a glass and enjoy! If you'd like, you can make this homemade coconut milk whipped cream to take your shakes to the next level. For a non-dairy whipped cream, you can use coconut cream and any liquid sweetener of choice, such as honey, agave, or pure maple syrup. Simply add the coconut cream, honey, and a pinch of sea salt to a stand mixer fitted with the whisk attachment and whisk on high until light and fluffy. Transfer whipped cream to a sealable container until ready to use. This recipe makes enough whipped cream for 5 or 6 shakes, and can be used as topping for any of your favorite dessert recipes. Coconut cream hack: If your local grocery store doesn't carry coconut cream, you can source it by refrigerating a 14-ounce can of coconut milk overnight. After chilling, open the can of coconut milk, and scoop out the coconut flesh that has solidified on top, discarding the clear coconut water or saving it for a smoothie. How Can I Prepare Whipping Cream Ahead of Time?